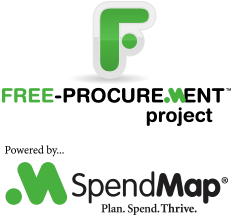 We’ve had a few requests for a blog post that explains how Currency Conversion (multiple currencies) works in the Free Version of SpendMap, that is, what happens in SpendMap when you place Purchase Orders in currencies other than your own (landed) currency. In a nutshell, when you set up a new supplier, you can tell SpendMap the currency to use (i.e. the currency the supplier’s Purchase Orders and invoices will be in), and then SpendMap will convert those orders to your local/landed currency for internal reporting purposes. First things first, you need to set up your local/landed currency. That’s the currency SpendMap will use for internal reporting. We’ll use United States Dollars (USD) for this example. In most cases, orders that are placed in your Supplier’s currency will be converted to your local/landed currency for reporting purposes, so that you can “compare apples to apples”. For example, your budget reporting, inventory valuation, spend by supplier, and similar reports that might include purchases in many different currencies, will be converted to your local/landed currency for easy comparison. I say “in most cases” because there are a few exceptions where you still might want to see your supplier’s currency, in which case SpendMap will ask you whether you want to use your supplier’s currencies or your landed currency. The PO Listing Report is a good example. Since exchange rates between currencies fluctuate all the time, you should update the Rate Field (the exchange rate) for each currency code in SpendMap from time to time. You can do this manually in the Tax and Exchange Rate Master File, or check out this blog post to learn how to automatically update the exchange rates from Yahoo! Finance. ← Codes or Descriptions in your Free Purchase Order Software?